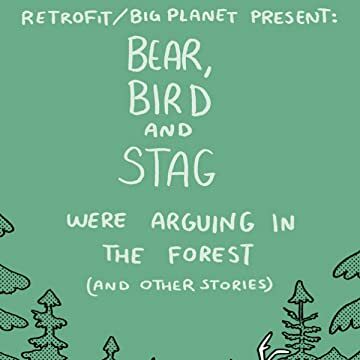 Bear, Bird and Stag Were Arguing in the Forest (and other stories) contains the brand new 20 page title story as well as three of Madéleine Flores's popular webcomics: Weave, Soul and Wander. 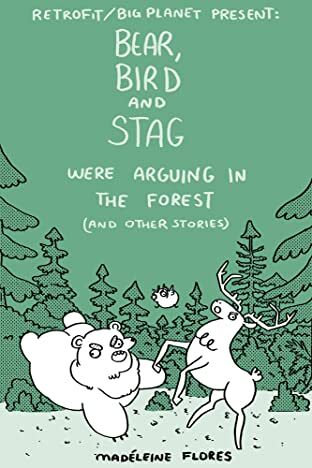 In the days of talking animals, Bear, Bird and Stag argue over which one of them should be king. They seek the wisdom of the mystical Forest Witch, who sends them on a quest to prove how royal they are. These four stories show Madéleine's versatility as an artist and read with a sense of wonder often brought on by fairy tales.